Drinking beer is part of Filipino culture and lifestyle. It's always present in every special occasions like weddings, birthdays, parties etc. As for me, I don't need no reason or special occasion to have beer, I like my beer on the weekend after a long weekdays of working or sleepless night. My online job is very stressful sometimes, so to keep me relax it's good to have an ice-cold San Miguel Lifestyle Brews beer beside me with my favorite food as a pulutan. For my pulutan, I choose recipe that has simple procedure in preparing food at home yet so healthy like vegetables and fruits. I always make sure I eat healthy foods to maintain a healthy body and active brain. Is beer healthy? Yes it is... According to some studies, drinking one beer per day may improve your health and it help people to lose weight. How cool is that, huh? Just choose only the best, tasteful and highest quality beer but low in calories, luckily, there's San Miguel Lifestyle Brews beer in Philippines. 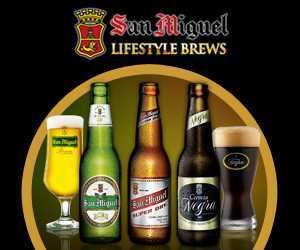 San Miguel Lifestyle Brews has created a trio of its finest, internationally recognized, award-winning brews San Miguel Premium All-Malt, San Miguel Super Dry and Cerveza Negra, or collectively known as the San Miguel Lifestyle Brews. Crispy Fresh Vegatable. Simple, healthy and good taste foods, paired with one of my favorite from San Miguel Lifestyle Brews beer - Cerveza Negra. San Miguel Super Dry is my hubby's choice. 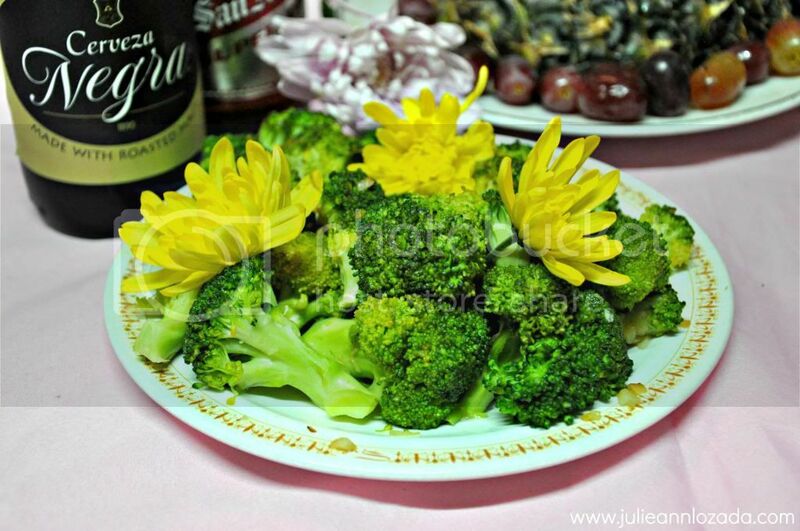 Steamed Garlic Broccoli is perfect for Cerveza Negra - because of its sweet roasted taste like which extends to its taste, it feels like I'm eating vegetables and roasted meat. Fresh Fruits with our favorite Cerveza negra and San Miguel Super Dry - perfect combination! Cerveza Negra - I like it very much, it's the best beer in the Philippines. Looks yummy! I'm more of a martini girl, but I do enjoy beer on a very hot day :) Enjoy! Wow, it seems like you had fun. I'm wondering what's the taste of this cerveza negra. hi dear! Thanks for the sweet comment on my blog! you are very cute! I like your blog! You really understand that sometimes the work becomes stressful to the point that one needs a break. seems you had fun look so cute. this looks great,and I am also loving what u are wearing in this post !